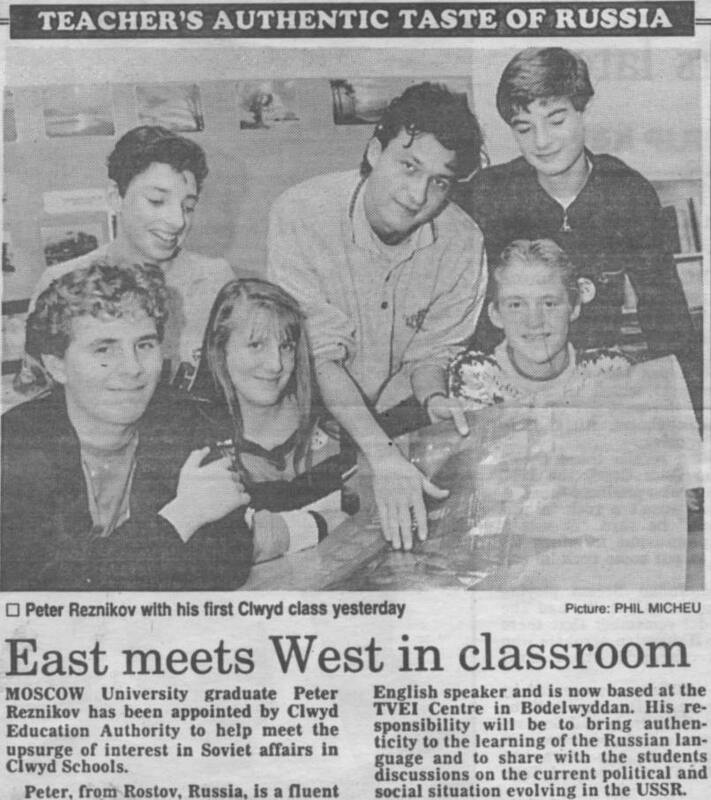 MOSCOW University graduate Peter Reznikov has been appointed by Clwyd Education Authority to help meet the upsurge оГ interest in Soviet attain in Clwyd Schools. Peter, from Rostov, Russia, is a fluent English speaker and is now based at the TVEI Centre in Bodelwyddan. His responsibility will be to bring authenticity to the learning of the Russian language and to share with the students discussions on the current political and social situation evolving in the USSR.